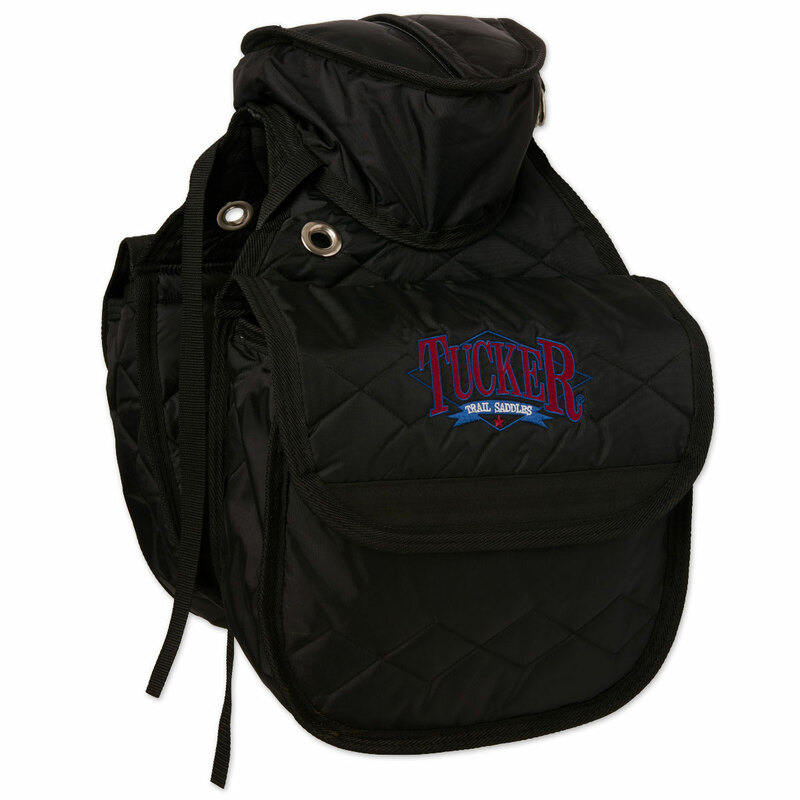 Same great insulated bags as Tucker's Trail Bag, but with additional behind cantle zippered bag. 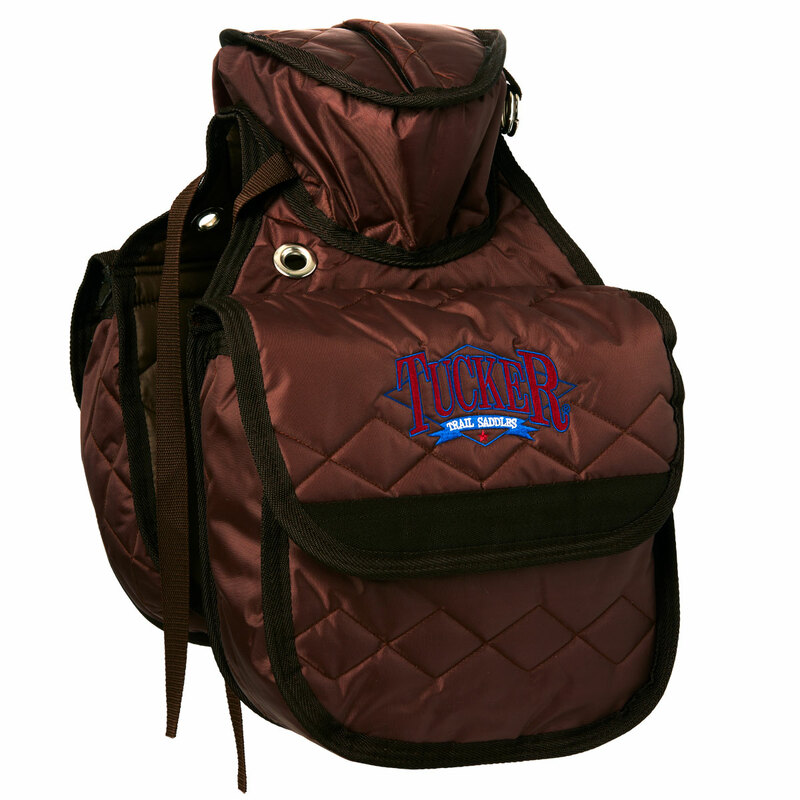 Two pull tight straps hold jackets or other items securely behind cantle. Attach to saddle with your saddle strings or add straps.